When I was younger I used to love coating pine cones in glue and glitter for Christmas. Now that I am older I still love playing with both glue and glitter but also appreciate more grown up pine cone holiday decor. I've really been liking pinecones too lately. 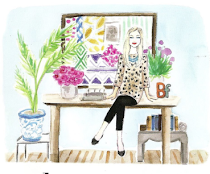 I especially love that pinecone place card holder. my niece, mimi and i made painted pine cone trees this week to hang on the tree. fun with paint and a 3 year old!!! 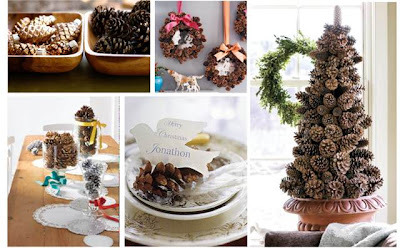 I will always adore pinecone trees, wreaths, etc. I really like the table setting, very sweet idea!